Edinburgh, the capital of Scotland, is one of the most popular tourist destinations in the United Kingdom and one of my favorites in fact. 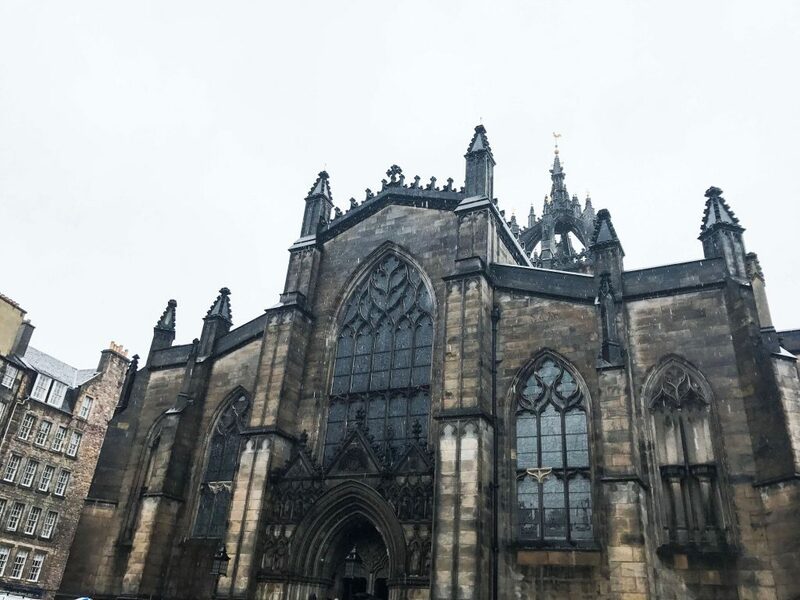 The architecture is absolutely amazing; the structures give you an insight on the lives of the people there before- not to mention the rich history and the overall aesthetic of Edinburgh- far prettier than can be described with words. 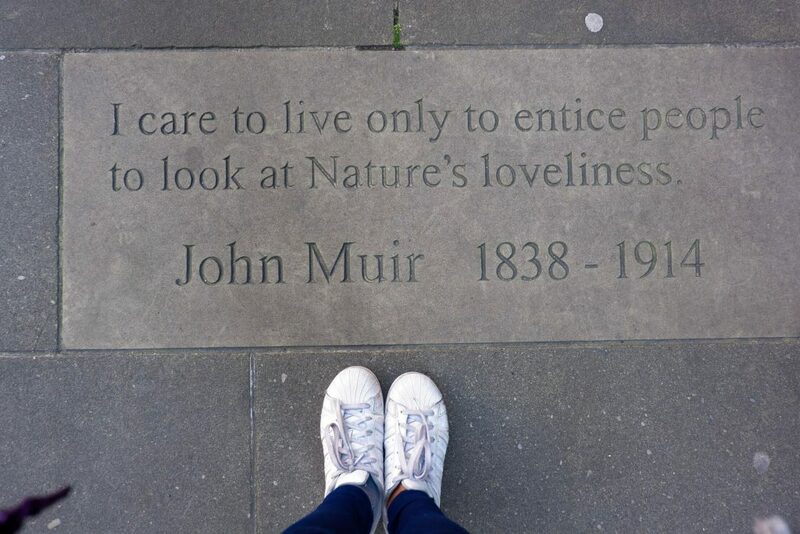 I spent quite some time in Edinburgh and the longer I stayed, the more I fell in love with it. Except of course, the crappy weather. I realized Edinburgh looked very different on a sunny day and on a rainy day. Bad weather is common in Scotland, but the day I got there, even the tour guide said, “ it never gets as bad as that. The rain was relentlessly pouring and I was soaked through my layers of jacket. It was just impossible to be out so I just spent the time in my hostel, bonding with fellow tourists and then we grabbed a drink in the pub just below. 13 14.) Go day tripping at the Highlands or Roslyn. 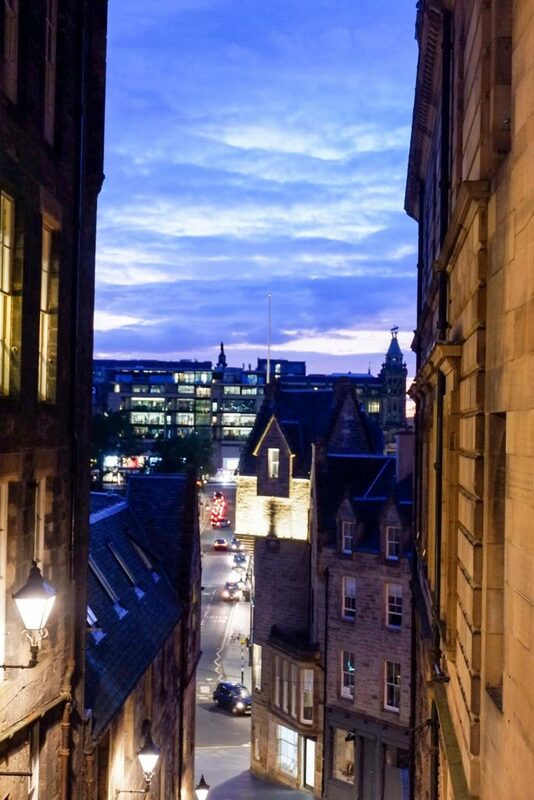 Scotland is known to be a home for ghosts and superstition, so if you’re a fan of the supernatural then Edinburgh is sure to be a haven. 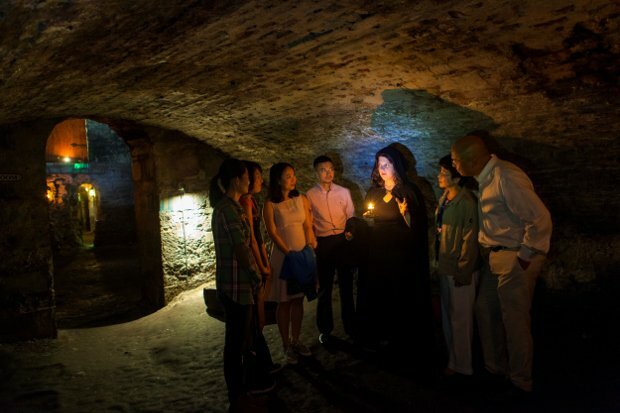 One recommendation are the Mercat Tours which hosts Underground ghost tours. I myself am quite a scaredy cat (thank goodness my brave roommate was up for it!) So if you’re one too, then it’s best to bring along some company like I did. The reason it’s so scary is because the tales are incredibly unsettling, feeling so true to life that it’ll set you on edge. They take you to the underground vaults where people used to live before, and they tell you true stories of sightings down there. Remember, this is under street level. They talked about the ghosts called Mr. Boots, as well as unnerving tales about cannibals and body snatchers. You’ll just have to go yourself to find out more. Edinburgh had wonderful landscapes, and the probable crown of them all is the Arthur’s seat, the very main peak of an inactive volcano. It takes around an hour to get to the top- but believe me when I say it’s more than worth it. Best bring a camera, because it does have a good view of the city. I preferred the view from Carlton Hill but this was amazing as well. It was terribly windy when we were up there, so don’t stay too close to the edge, you might get blown away. Carlton Hill is one of Scotland’s most beautiful political symbols. 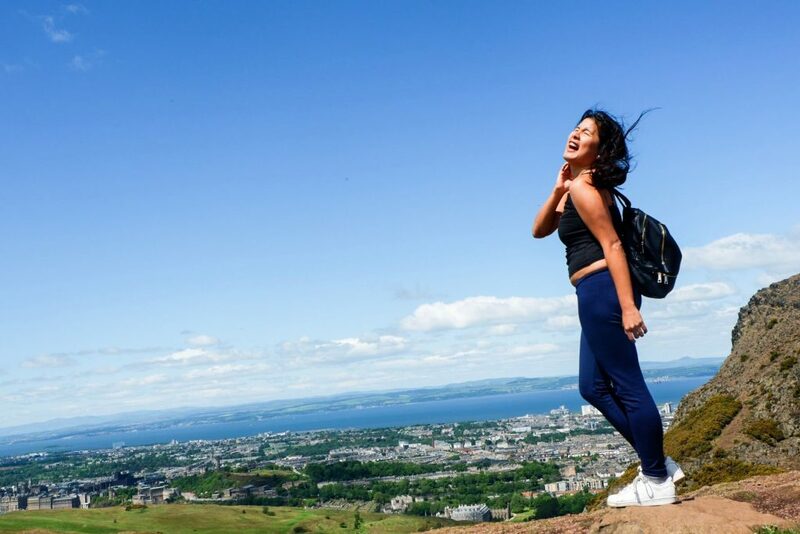 It is a large hill which is the cherry atop of Edinburgh’s skyline, and a location for many popular events. It is full of old buildings and structures which draw out the very essence of the city, so be sure to plan a visit- you won’t want to miss it. It only takes 5 minutes to get up there so better go. Best seen when the city is all lit up. 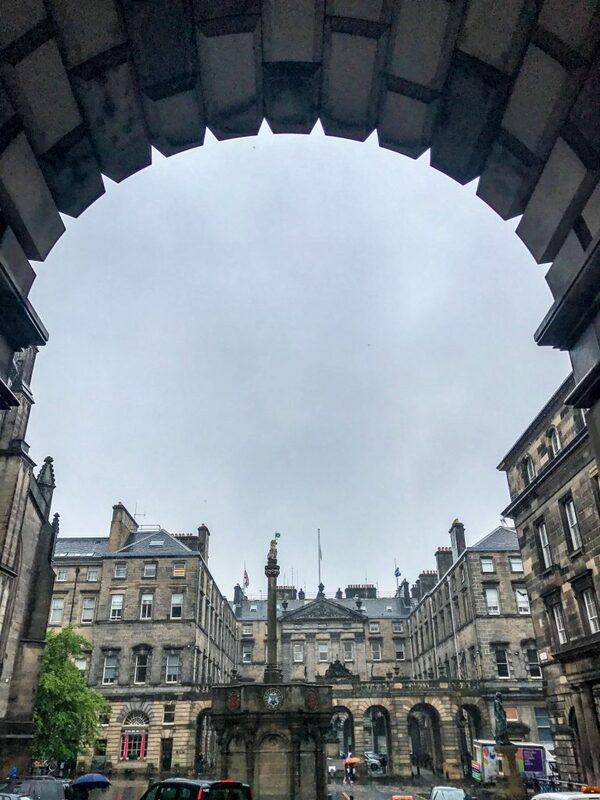 The Royal Mile is a dazzling series of streets in the heart of Scotland, and a walk through it makes you feel so incredibly immersed in history. Not only that, but there are wonderful pubs and eateries littered all over the location, meaning it’s a great spot whether you wish to bask in the atmosphere or just go out and have some fun. 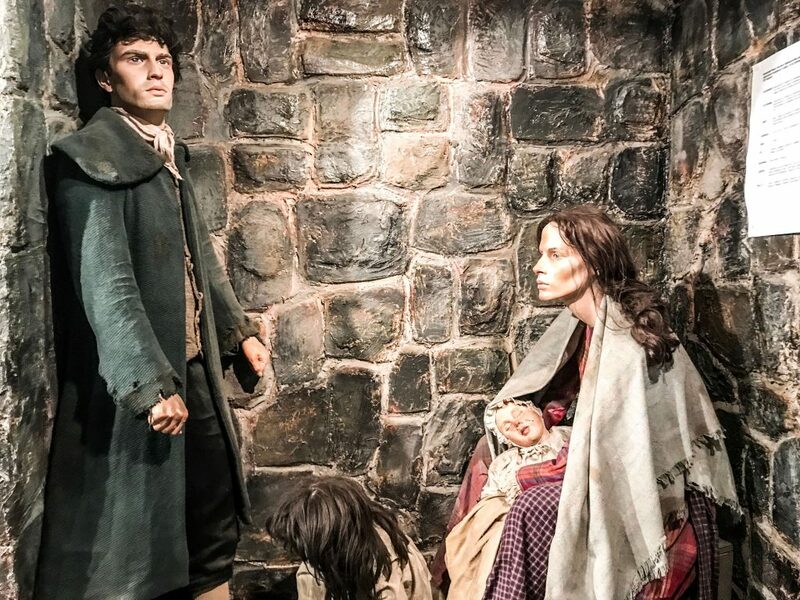 If you just love learning about the lives of people, be in the past or the present, then be sure to visit the People’s Story Museum. It explores and elaborates on the lives of Scottish individuals, from the late 18th century to modern day. 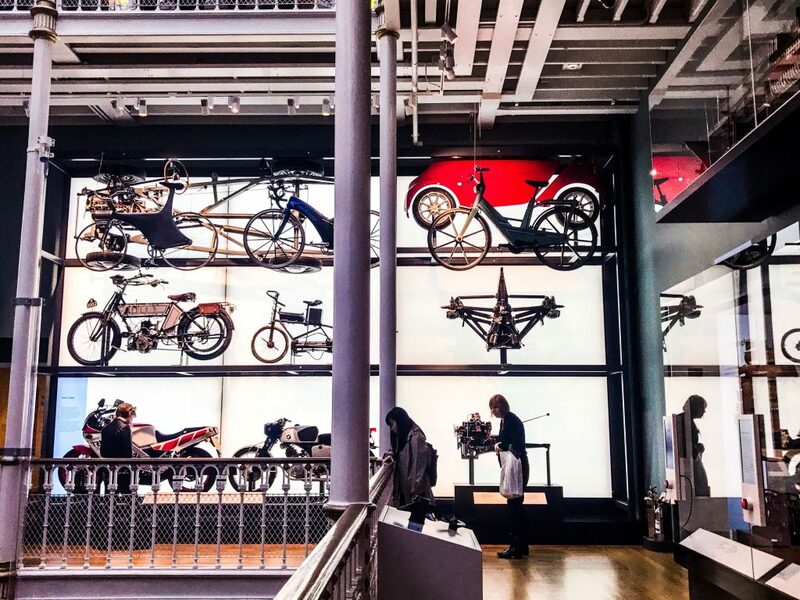 The Edinburgh museum is an absolute must-see if you’re a fan of myths and legends. 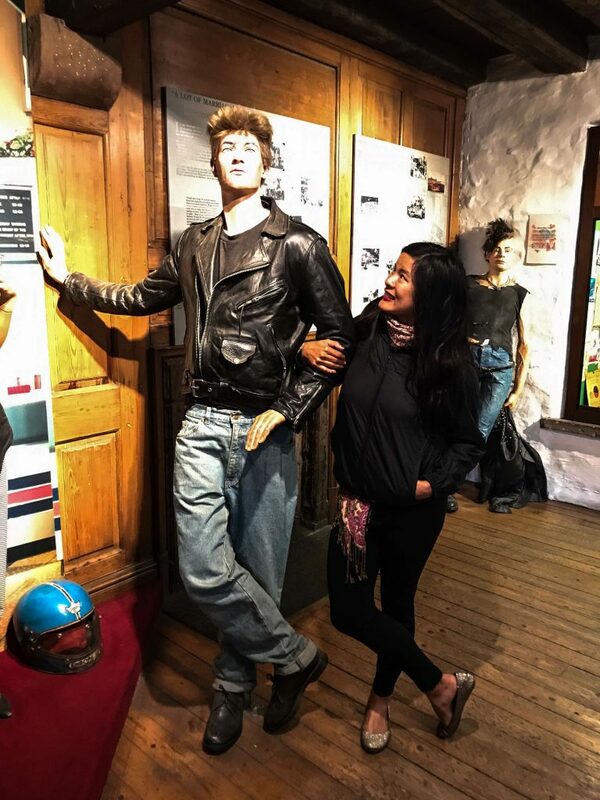 Scotland is chock full of interesting tales and a visit to this museum is guaranteed to make your eyes light up in absolute delight- as if you were a child again. Have an eye for art and paintings? Then make your way over to the National Gallery, an impressive collection of creativity that’s sure to alight the flames of the artist inside of you. If you want everything that’s great about Scotland and its history all in one place, here’s where to go. It has a wide variety of collections ranging from historic artifacts and antiques to products of art and design. 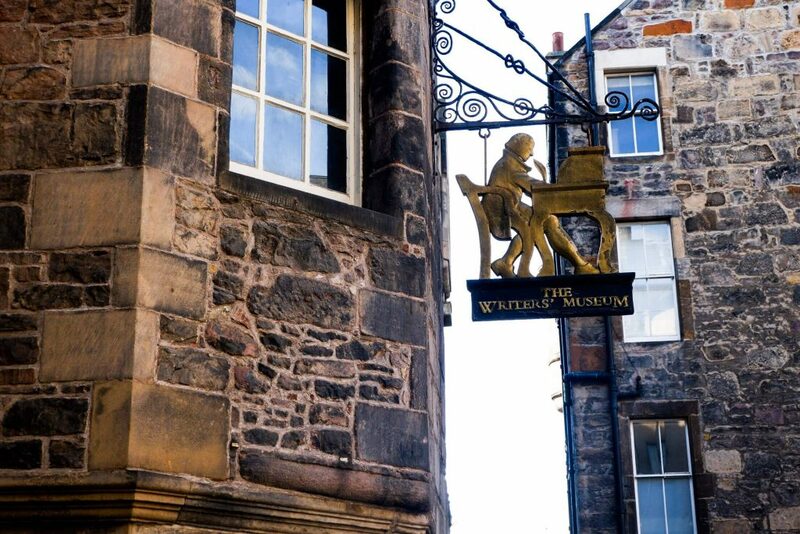 The Writers’ Museum in Edinburgh is home to the works of the three most famous and influential Scottish writers- Robert Burns, Walter Scott, and Robert Louis Stevenson. Love literature? Then stop by here. Check out the famous quotes right outside it too, you may find one that you like. Want to see more of the Catholic roots of Scotland? 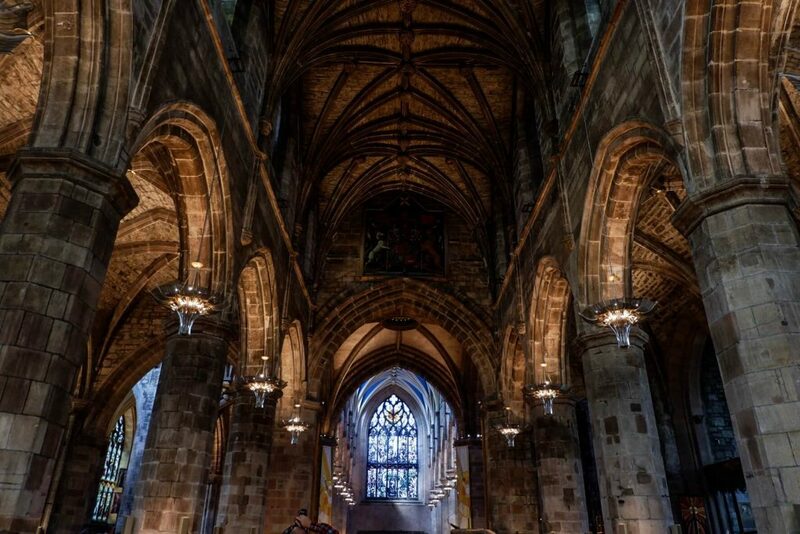 St. Giles Cathedral is the primary place of worship in Edinburgh and is what makes the city so unique and its skyline so dazzling. 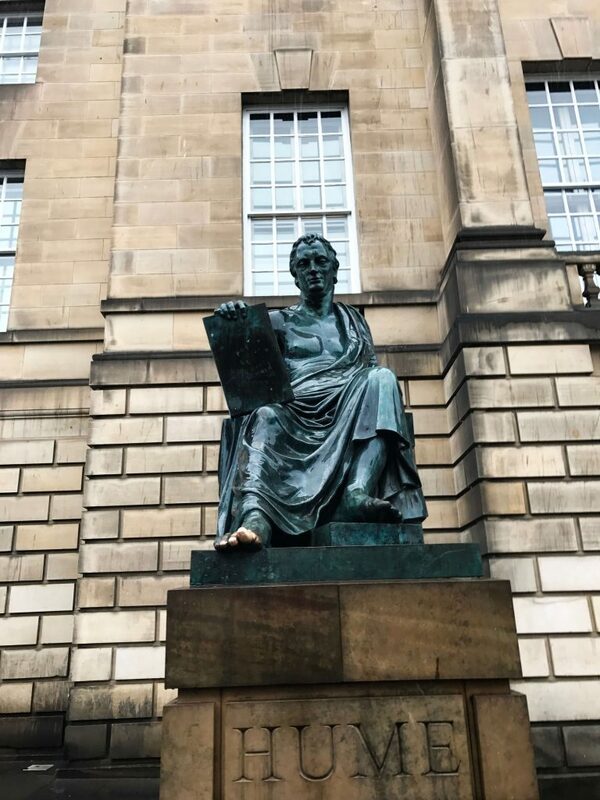 If you want to know more about the impressive history of Edinburgh without breaking the bank, don’t fret! Because the city offers free walking tours that give you access to amazing tidbits and trivia without breaking the bank, but do pay the tour guide what you think they deserve. 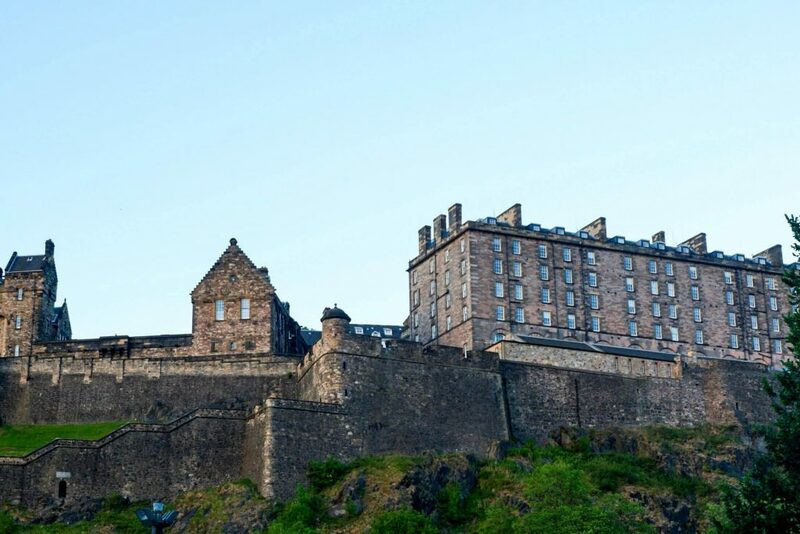 Castles are the highlights of Scotland, and Edinburgh Castle is the king of them all. 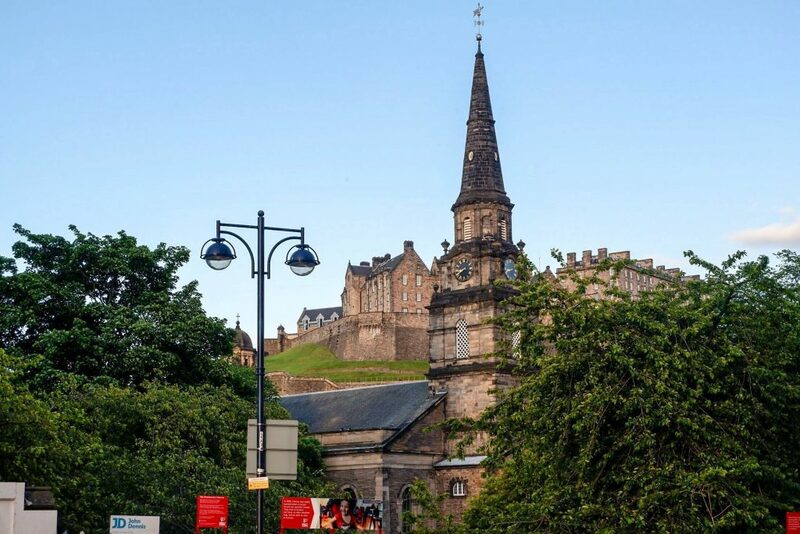 The queue tends to get rather lengthy, however, so be sure to book in advance so you don’t miss the chance to see Scotland’s most visited tourist attraction- a location full of the country’s history, and also a place to see the nation’s panoramic sights. 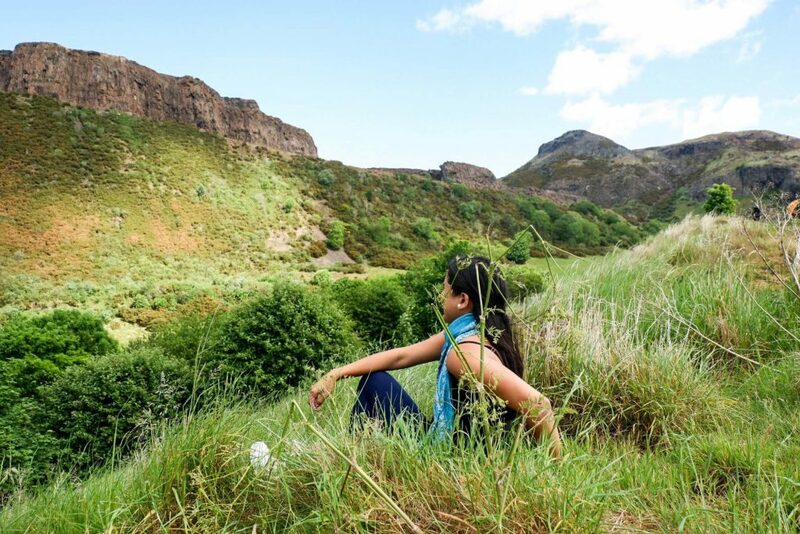 Enjoy the landscape and scenery of beautiful Scotland at the Princes Street Gardens, a public park which is an absolute haven for nature lovers and history buffs alike. Did you know that this used to be a dumpsite of waste disposals and rubbish back in the “good ole days”, ever wonder why it’s so fertile now? Well, that was long gone. Right now, it’s just a beautiful park. You might know this as the residence of her Majesty the Queen but it also happens to be a wonderful tourist attraction! It’s open to the public when the royals aren’t around, so make the most of it. If shopping is what you’re after, then look no further. 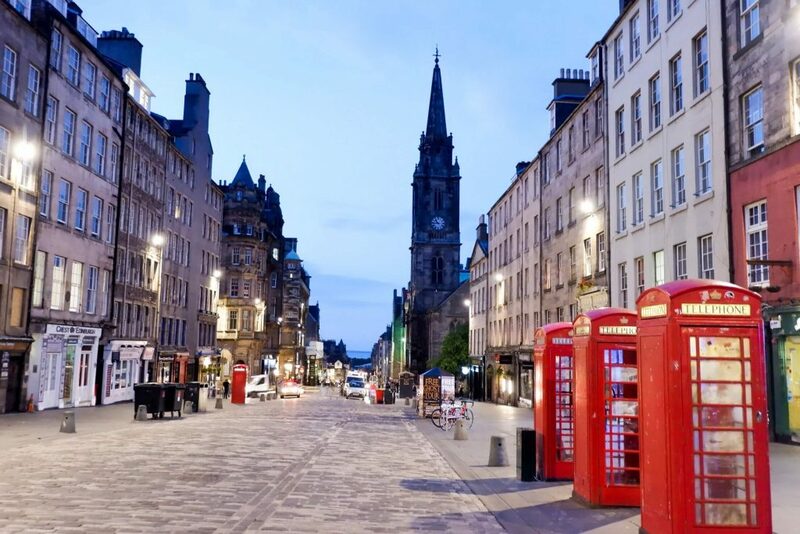 Rose Street in Edinburgh is home to various shopping locations with low prices as well as restaurants and pubs- perfect place to visit for souvenirs. 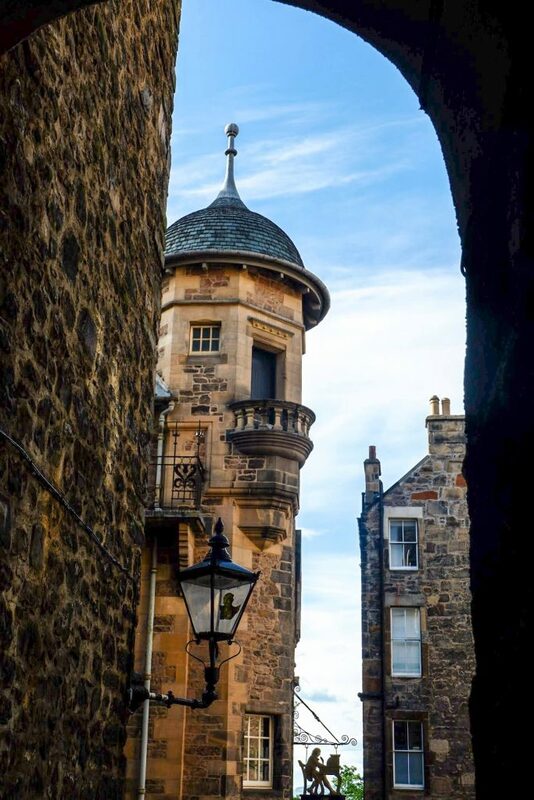 Take a trip through history and tour around the streets of Cowgate, the home to some of the oldest buildings in Edinburgh. This is also known as the backpacker district and they do have a lot of good night life around the area. 14.) Go day tripping at the Highlands or Roslyn. Still on the lookout for more sights and views? 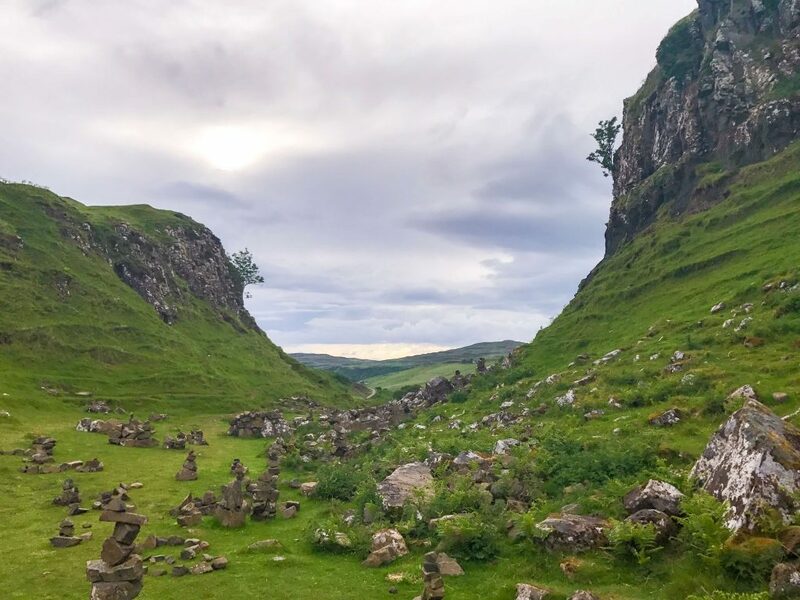 Take a day trip to the Scottish Highlands where amazing landscapes and mountain ranges can be found, or perhaps walk around the Roslyn chapel, one of the most remarkable buildings in Edinburgh. 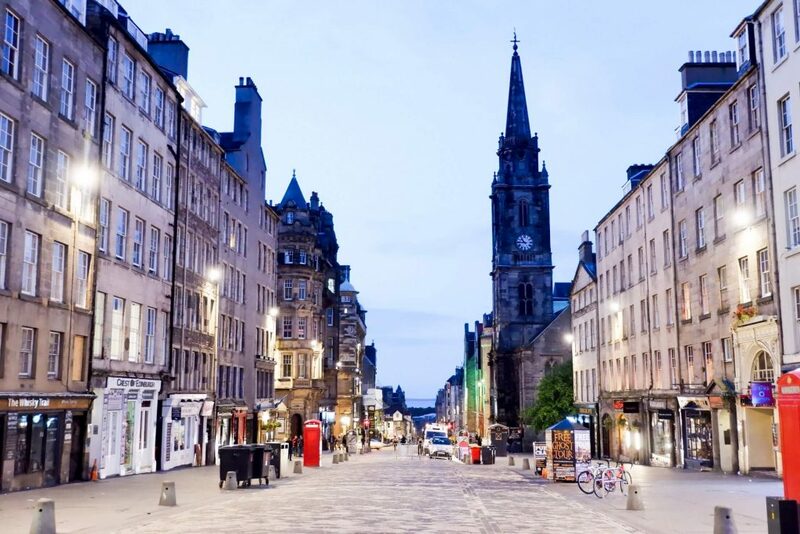 You just can’t leave Scotland without visiting the Harry Potter inspired streets! Be sure to book a tour and you’ll feel just like a witch or wizard straight out of the books. Heading out to the pub is an absolute must when you’re in the U.K., and it just so happens Edinburgh is home to the best- the Dog House. It’s an eccentric pub which serves up delicious cocktails and beverages. The fan favorite from this popular tourist spot is their scrumptious wings which come in a wide variety of flavors. Believe me, name it, they have it. I actually didn’t know which one to get. They had a bunch with bbq, sriracha, garlic, spicy, I just got confused but everything I tried was excellent. Lucky, I had one friend with me so I was able to try more. Be sure to bring along more friends for the chance to try a lot. Looking for a sweet treat? 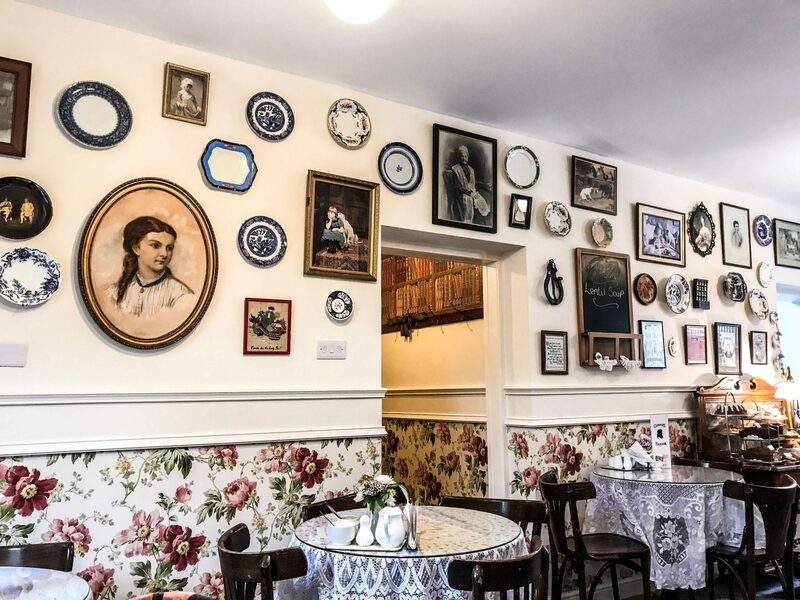 Go no further than Mary’s Milk Bar, one of the best ice cream parlors in Edinburgh. Check out their quality salted caramel flavor that’s sure to make your mouth water, and then get some coffee and hot chocolate to wash the sweetness all down. They line up for this too, so make sure you are ready for a queue. 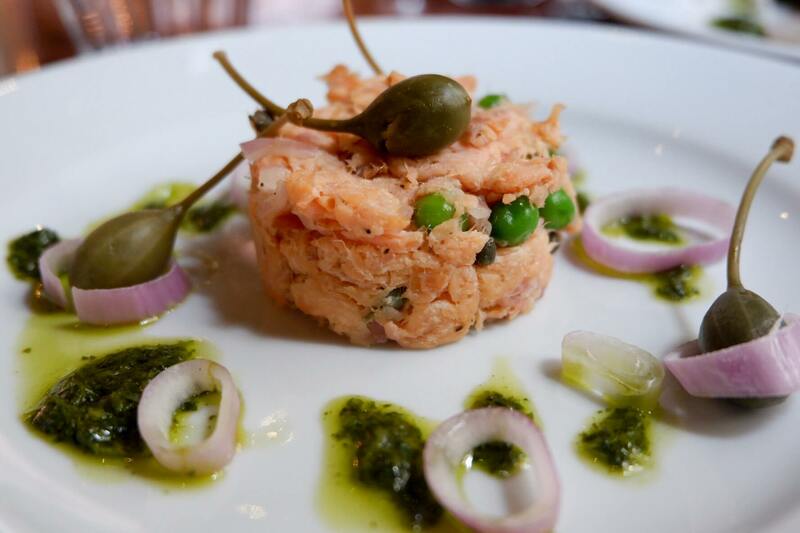 Edinburgh isn’t all about history and rich culture- they’ve also got food to die for! 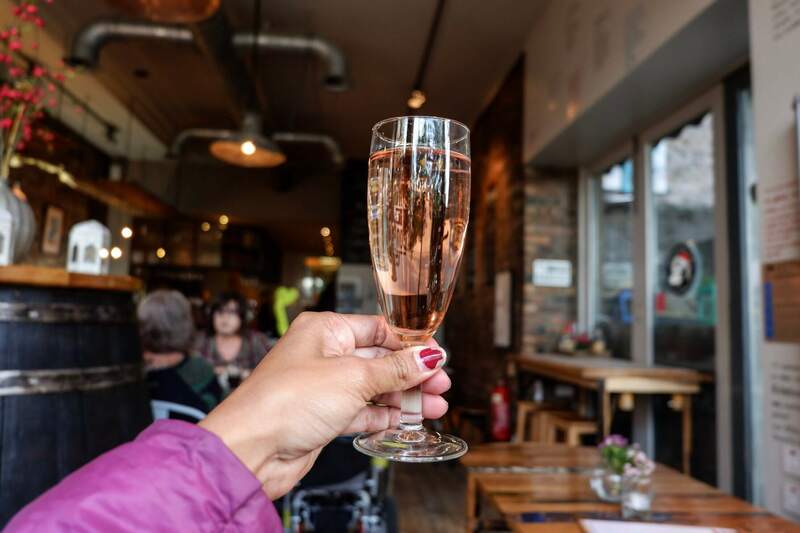 Book a food tour with Eat Walk Edinburgh and gorge in delicious local favorites. 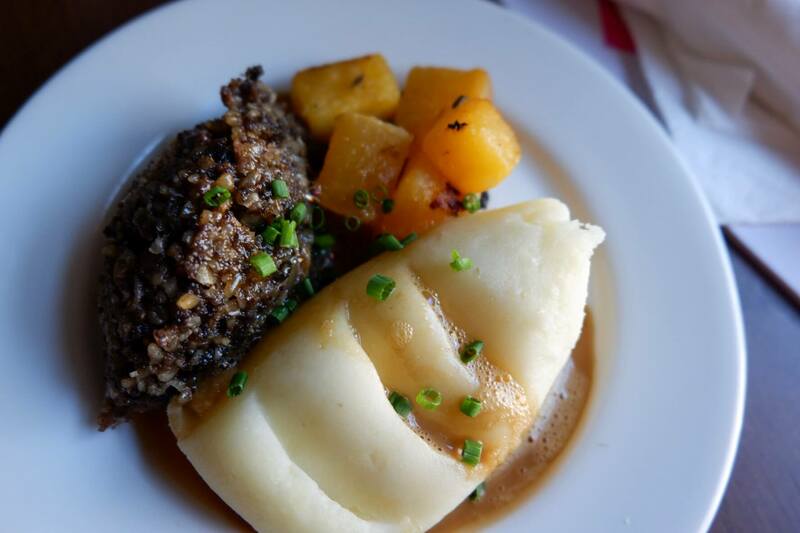 You’ll be able to try whiskey and haggis- some of the city’s absolute delights. It might sound strange, but this is what most tourists look forward to when visiting the city. 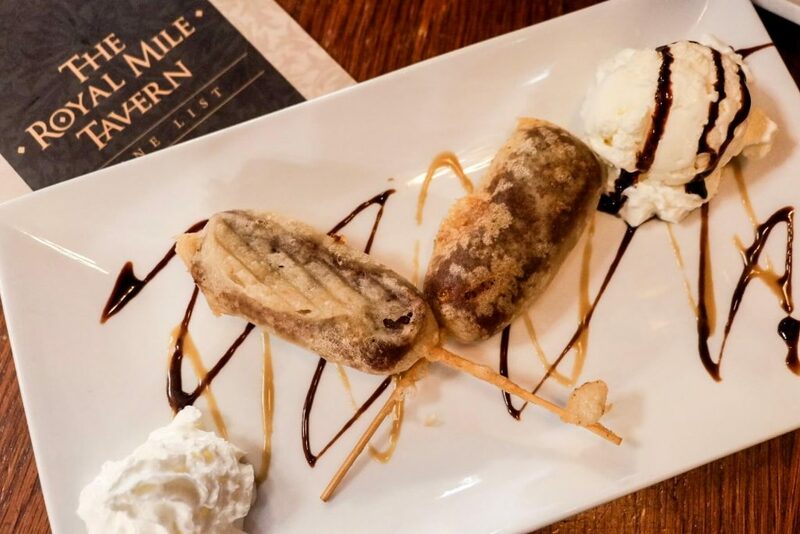 Try out a deep fried Mars bar- you’ll be surprised at how well the combination of chocolate caramel bars and breading can actually be! Warning, if you aren’t into sweets then, this may not be for you. 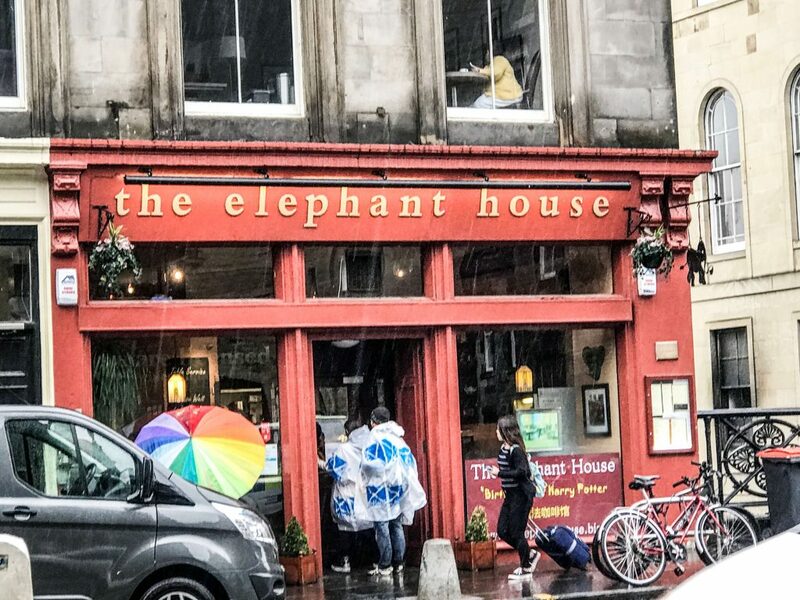 Food tripping in the great city of Edinburgh is an absolute must, and in order to make the most of it be sure to download the Haggis app- it’ll help you get the best deals on bars and restaurants to make your experience all the more fulfilling especially when you get good discounts. I mean, it counts for something, right? It might shock you, but drinking outdoors in Scotland is actually legal! So take the opportunity to have a picnic or barbecue outside, and pop open those bottles of alcohol too. Try going to the meadows on a good sunny day, you will see a lot of people having a barbecue with a drink in hand. 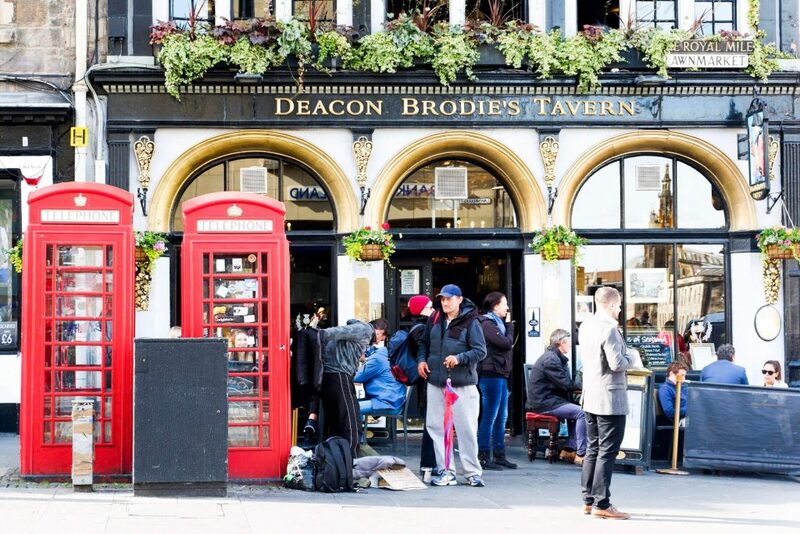 Pubs are an absolute essential in the U.K., and Edinburgh is a heaven for quality drinks. Some of the best and most interesting recommendations are Panda and Sons, Devil’s Advocate and The Bow Bar. As shocking as it might seem, Scotland isn’t just beer and Haggis. 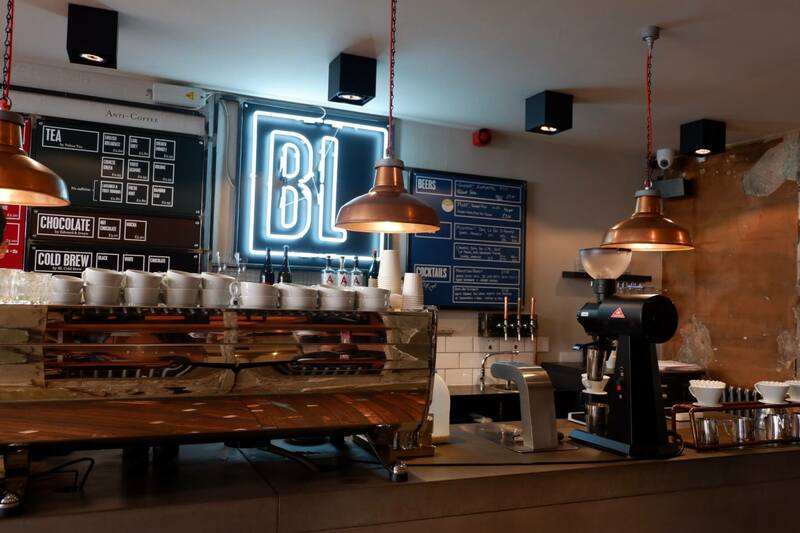 It also serves up some delicious caffeinated beverages, so visit the Brew Lab (one of the cooler coffee shops), Black Medicine and Zebra Coffee. 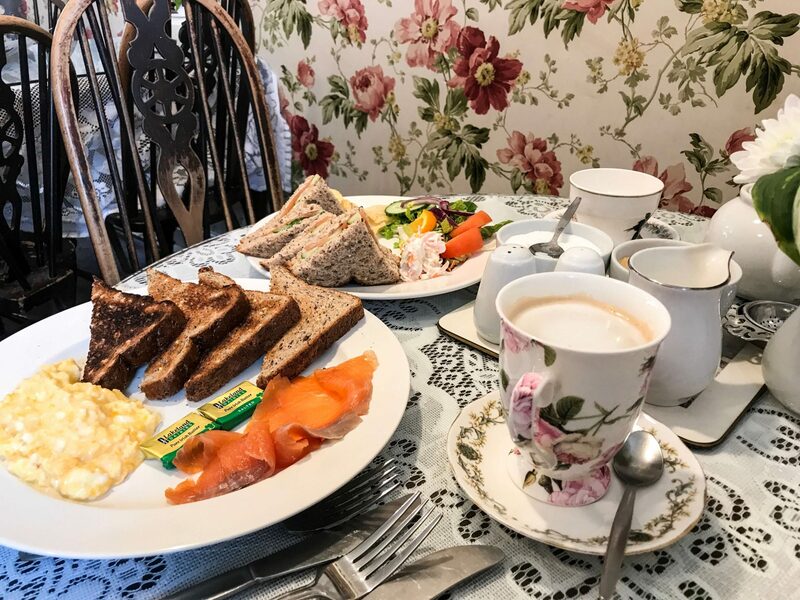 Tea is a way of life in this nation, so dine like a local and have tea and brunch at the reputable Clarinda’s Tea House. 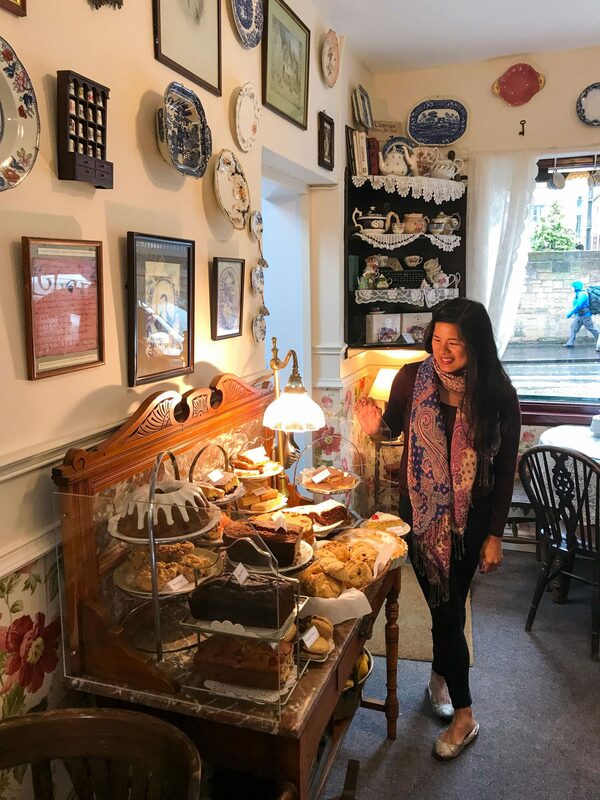 This cafe is home to some of the best gourmet tea and coffee in historic Edinburgh, surrounded by a wonderful ambience and historic sights. Fun fact: It’s where J.K Rowling wrote some of the Harry Potter books! You never know, visiting might boost your creative ability. Edinburgh is a wonderful city, chock full of unique English culture and historical sites. Who wouldn’t want to visit? The problem many faces when booking a trip to a new city, however, is accommodations. It can be kind of hard to find the perfect hostel or hotel to reside in when visiting, so in order to help here are some great examples! You won’t have to worry about breaking the bank because the locations listed down below all come at a varying price range. 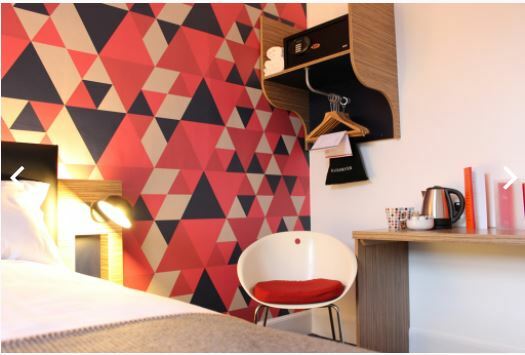 Cityroomz Edinburgh – Cityroomz Edinburgh is located at a prime, central location in the city near Princes Street- and at an affordable price. 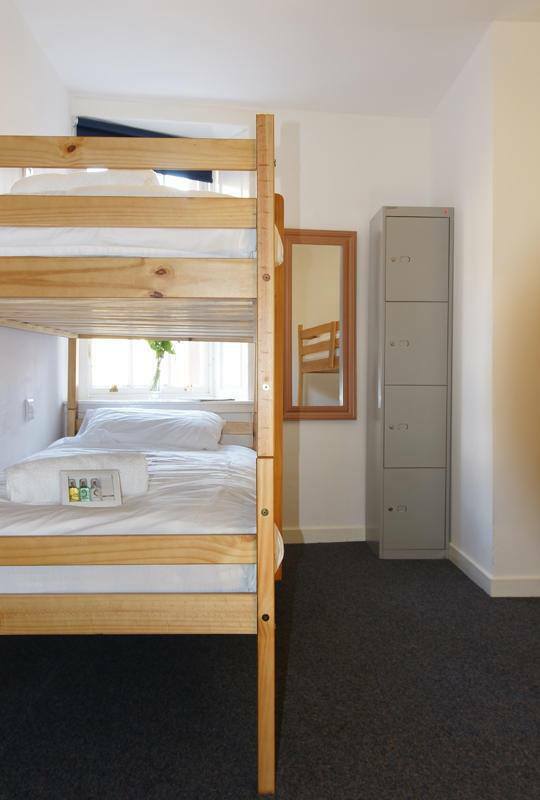 The rooms are small and there are bunk beds available to make the most out of the space, but what makes up for it is the free wifi and accessibility to many tourist areas of Edinburgh. 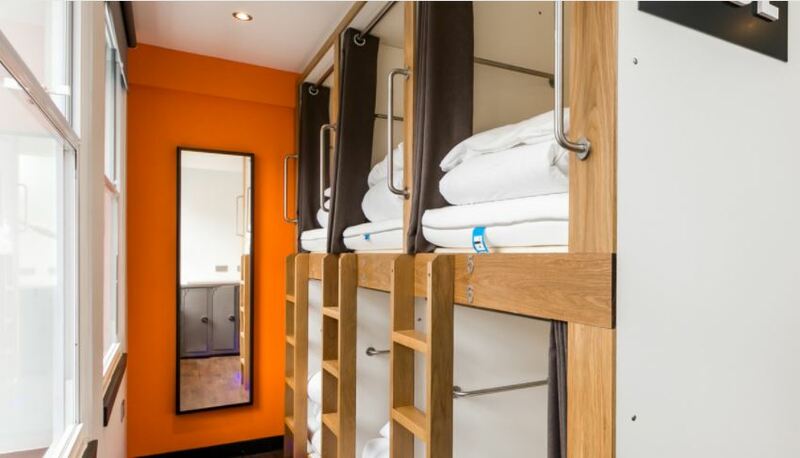 CODE Hostel Edinburgh – CODE Hostel is a trendier type of accommodation, wherein visitors have the option to sleep in tiny, cozy little pods at night. If you don’t like how cramped it is, you may also opt for a different sort of room. It is located near the Calton Hill and the National Museum of Scotland, conveniently. They’ve got breakfast, which is a nice addition. 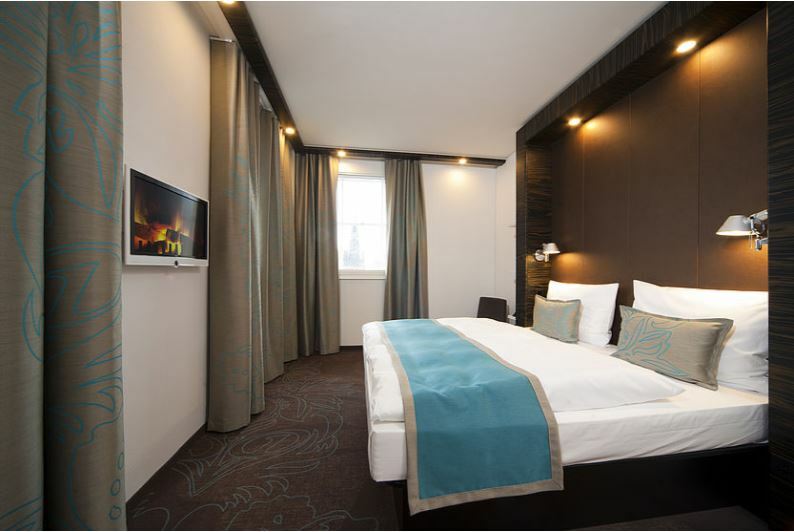 Holiday Inn Express – You can find a Holiday Inn almost everywhere in the world, and it is quality despite its price. It is 3 miles west of the city center but fret not because you’ll be able to access it by bus. The rooms are clean and the hotel comes with additional features, like free wifi, an indoor pool, and a fitness center. Motel One – The great part about this motel is that it is situated in the very center, the very heart of Edinburgh. The beds and simple and cozy and the staff are quite friendly, making it a to-go place to stay when visiting. 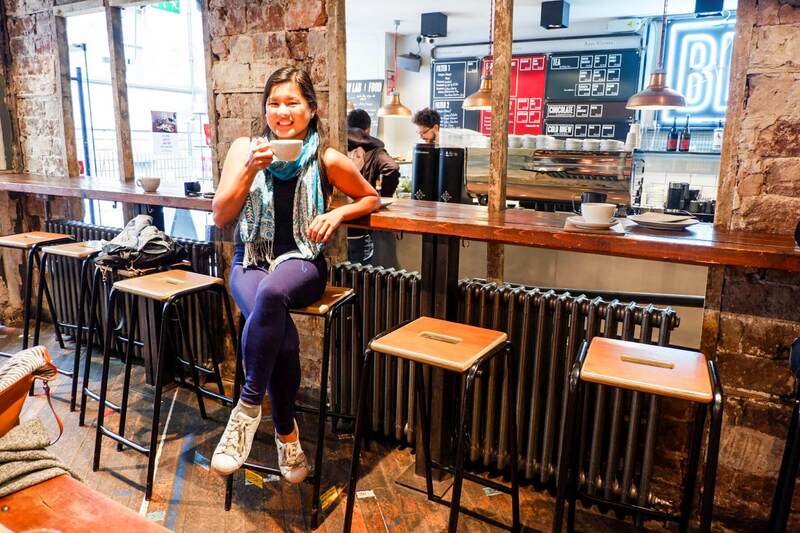 Haggis Hostels – Haggis is said to be the best hostel available in Edinburgh, but you have to try it out for yourself to come to that conclusion. 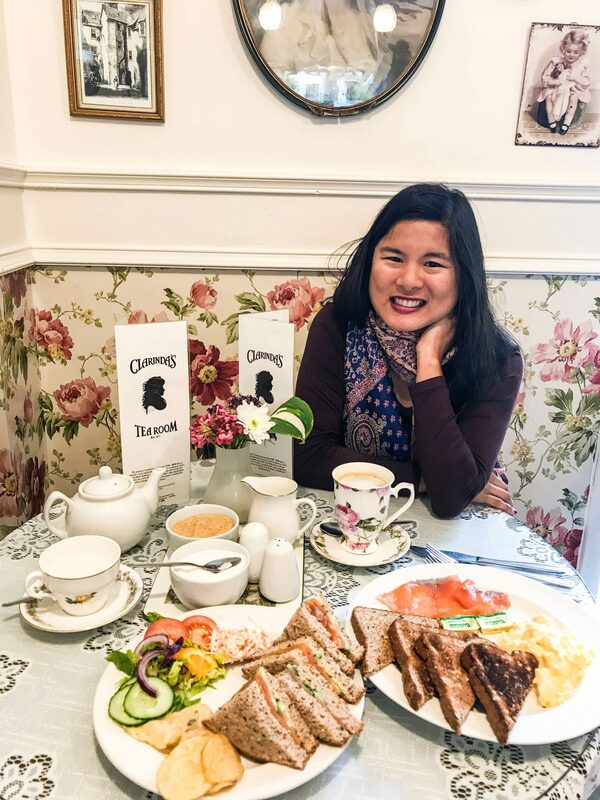 They have free wifi and 24-hour reception, as well as staff who are more than willing to answer questions about Edinburgh and give you tips and directions to the places you wish to go. 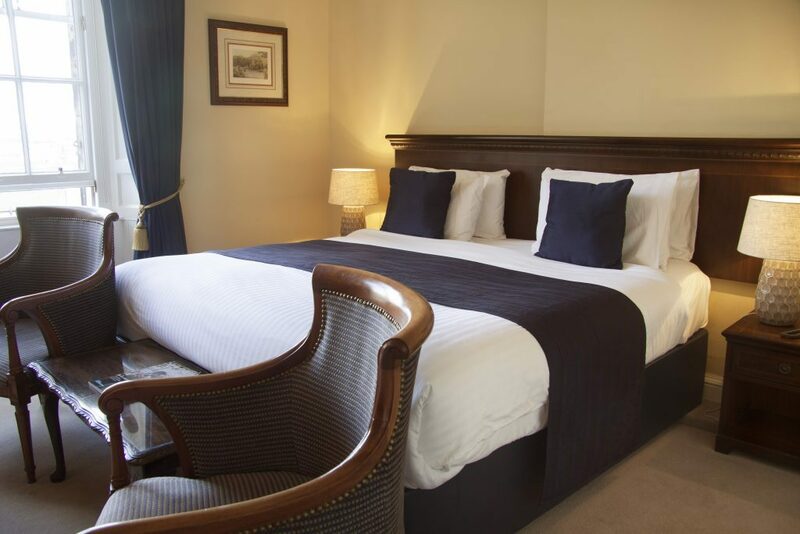 It is located only several meters away from Princes Street, making it a budget hotel in a prime location. Middle range: Middle range hotels are a wonderful choice if you’re looking to spend most of your money on your experiences, but also wish to have a nice, comfortable and classy hotel in which you can lounge in on your downtime. But of course, you don’t want to drain the entirety of your credit card on your accommodations! Here are some middle range hotels you can stay at- you’ll be able to experience classy treatment while not totally splurging. 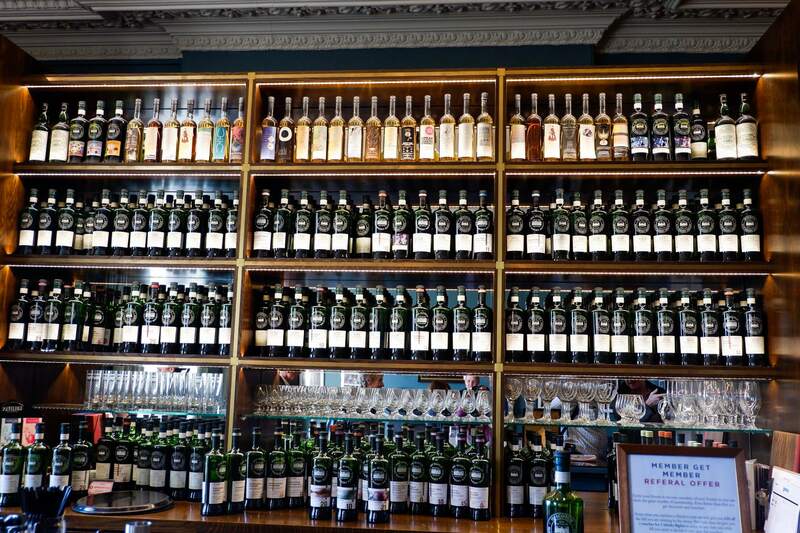 The Royal Scots Club Edinburgh – This hotel delivers quality at a good price range. The service is friendly and the rooms are quiet. You’ll be able to relax without any disruptions while resting here. It comes with wifi and a lift to all floors, so you can ditch walking up several flights of stairs. It is near public transport as well as being in a prime location, so you don’t have to struggle to tour around the city. Hotel Ceilidh- Donia – This hotel is definitely a classy one. 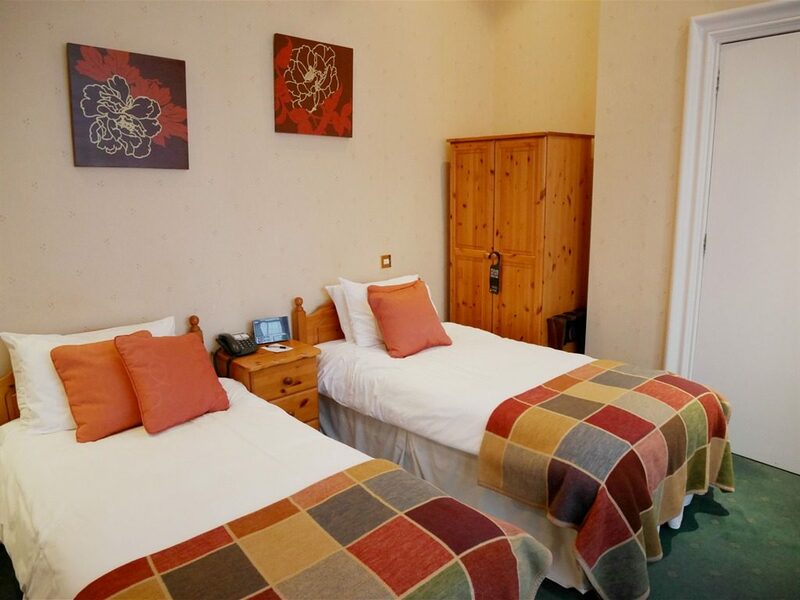 The staff is warm and friendly and it is located in Marchhall Crescent, near sights like Arthur’s seat as well as public transportation to make getting around easier, not to mention the cozy and attractive rooms. Breakfast is included with your booking. 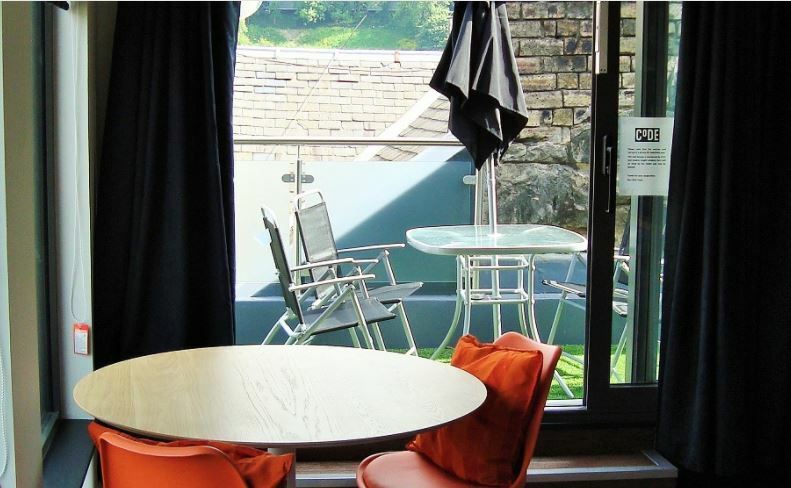 Grassmarket Hotel – Like the name states, it is located in Grassmarket, Edinburgh. It is a unique hotel with quirky decorations, perfect for those who want something different. 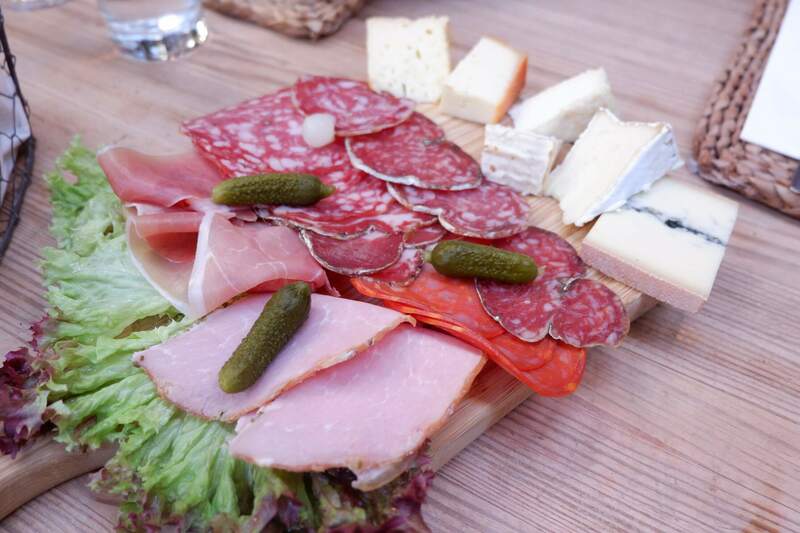 It is located near Old Town, a good place to eat, shop and drink. 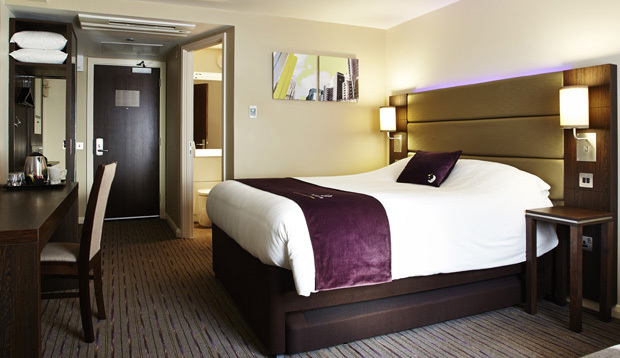 Premier Inn Edinburgh Central Lauriston Place – Another hotel close to the city center. The rooms are large and pleasant and free wifi is available- so are the breakfast buffet and a bar! The staff is friendly as well, which is, of course, an added plus. 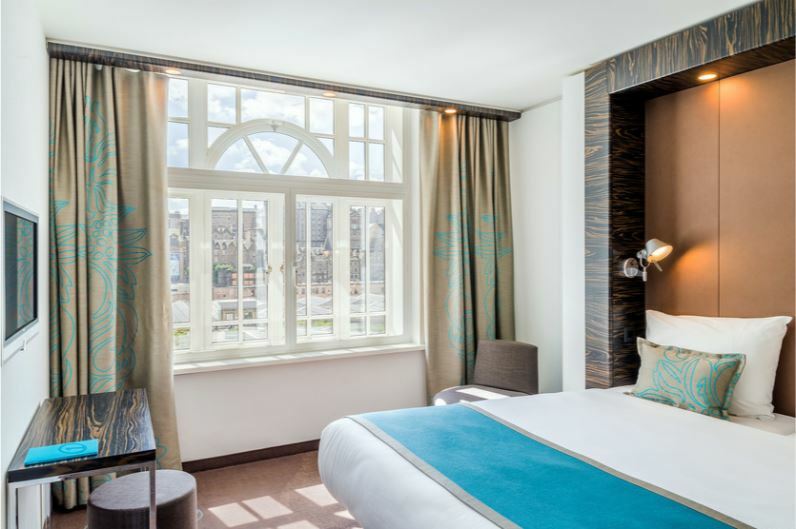 Hotel Motel One Edinburgh-Royal – This hotel is located at Market Street, right across the train station which makes traveling around so much easier. The location is great, rooms are spacious, and it is overall a very good hotel considering its price point. The breakfast buffet is an added bonus, too. Luxurious: Don’t want to pinch pennies when it comes to staying at hotels? 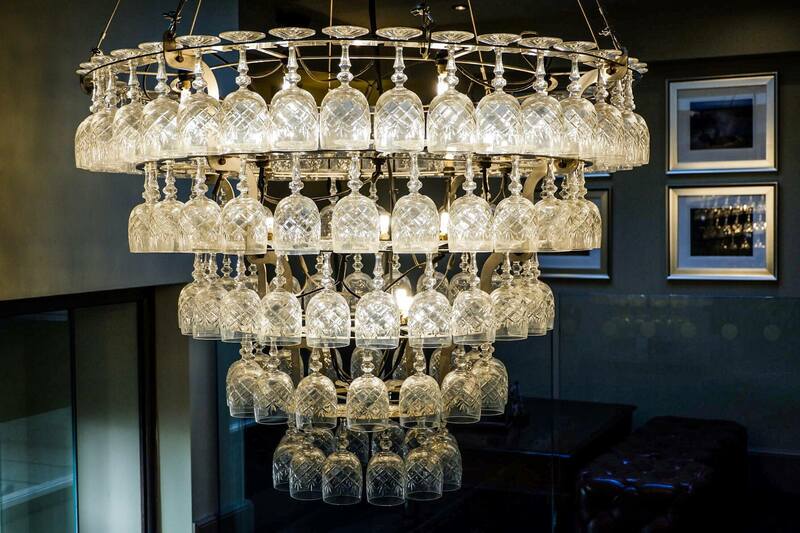 Want a place where you can be pampered and treated like royalty after a long day of shopping and strolling around the streets of Edinburgh? Don’t fear, because the city has a large variety of elegant and five-star hotels which will ensure your evenings are just as enjoyable and experience-filled as the daytime. The Balmoral Hotel – This is a high-end hotel, of course, and comes with features such as a pool, air conditioning, and airport transportation. The hotel staff is very friendly and is it at a prime location on Princes Street. The dining is spectacular as well, considering Balmoral contains a Michelin-star restaurant inside it. 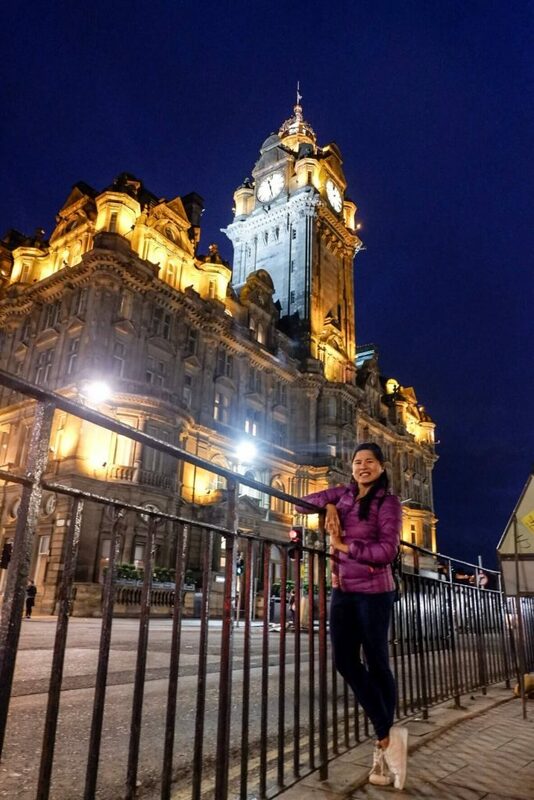 Waldorf Astoria Edinburgh – Another location on Princes Street. 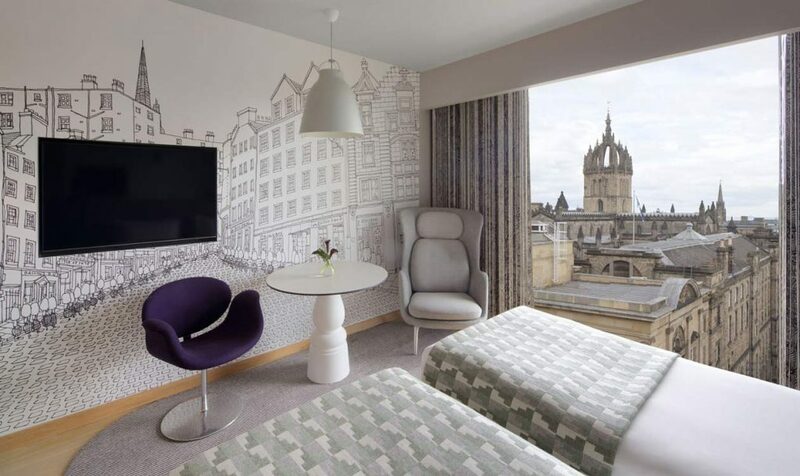 The service is impeccable and the rooms luxurious- complete with bathrobes, toiletries, and an amazing view of the Edinburgh skyline. The loved Guerlain Spa is here as well, with amenities like a sauna, Jacuzzi, swimming pool and a gym that will make your stay practically stress-free. 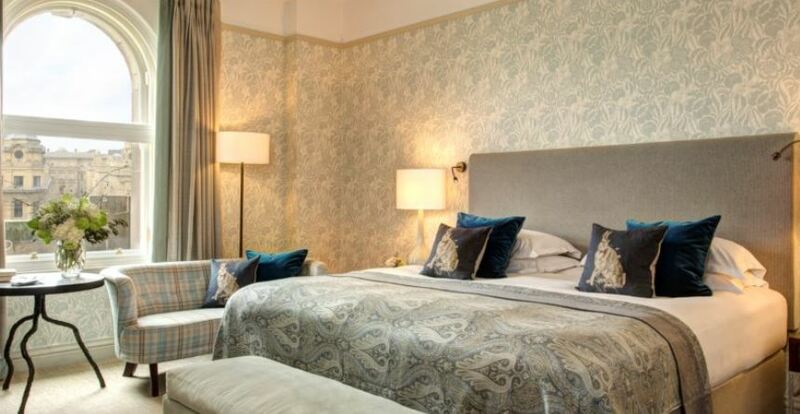 G&V Royal Mile Hotel Edinburgh – This is one of the bestsellers in Edinburgh, located in Old Town. 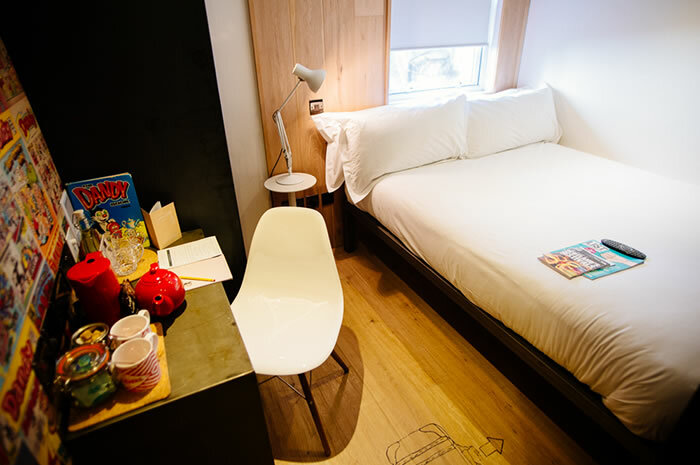 The rooms are incredibly innovative, with LCD TVs, fast internet and coffee machines. They are welcoming to foreigners as well, speaking an impressive 17 languages. The décor is unique and you won’t be able to resist snapping a picture. 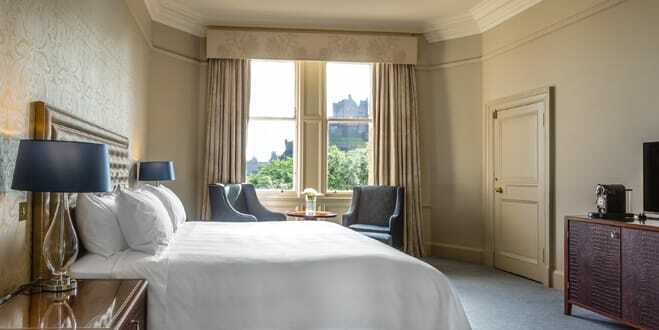 Nira Caledonia – One of the favorite luxury hotels in Gloucester Place, Edinburgh. 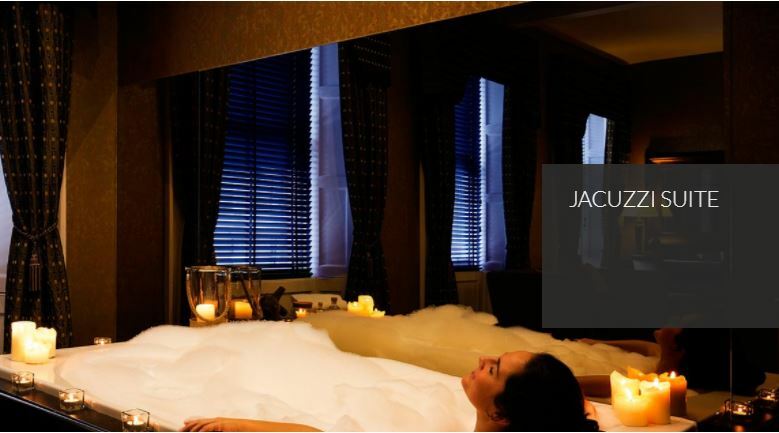 They offer specialized suites, some of which offer a Jacuzzi. The décor is evidently Scottish and the hotel is surrounded by gourmet restaurants and stalls, not to mention the great restaurant already located inside it. 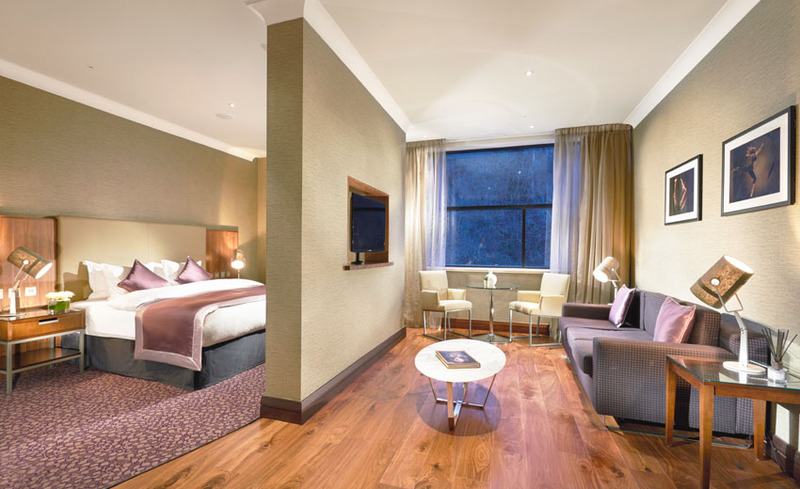 The Glasshouse Hotel Edinburgh – Located in New Town, the Glasshouse Hotel is without a doubt a good location for tourists. The décor and interior is modern and unique and they, of course, offer luxury amenities, like room service and well-loved fire pit and observatory restaurant- check it out for yourself. Carlo Rossi Pink Moscato – Deliciously Sweet! 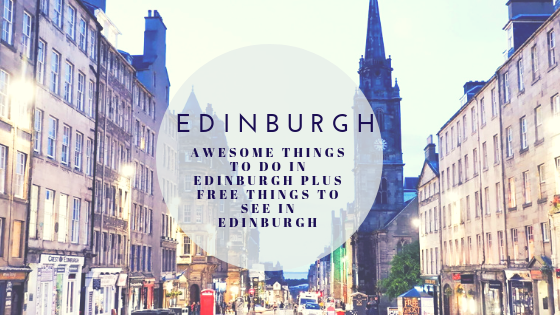 Hoping to get to Edinburgh later this summer and your post is such a great resource! 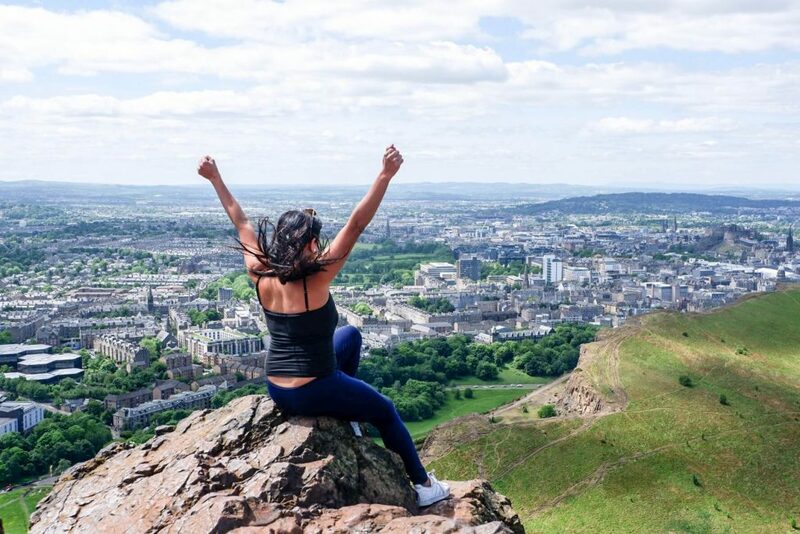 Of course Edinburgh Castle and St. Giles Cathedral are on my itinerary but I had no idea that the great hiking at Arthur’s Seat was that close to town. 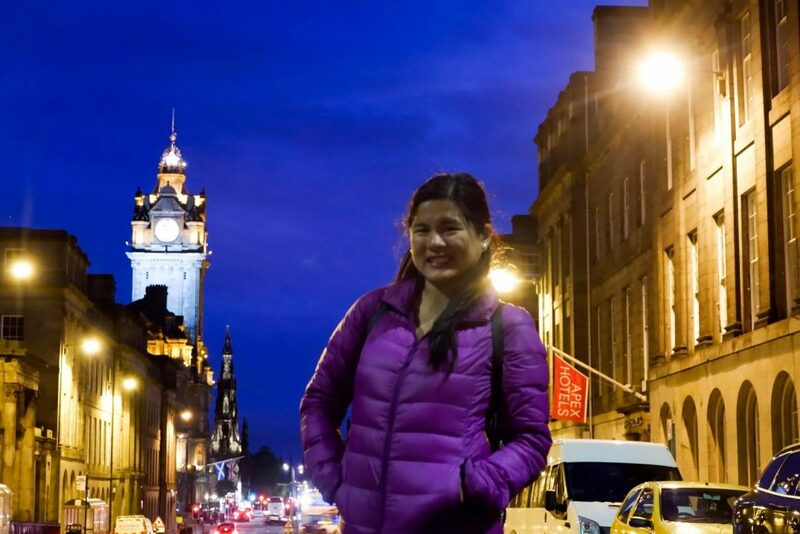 I loved walking down the Royal Mile. Though I wish I had this post when I first visited Edinburgh. After reading your great guide I feel that I’ve missed oh so many amazing, and even free things to do. Very comprehensive guide!! Thanks for sharing this! 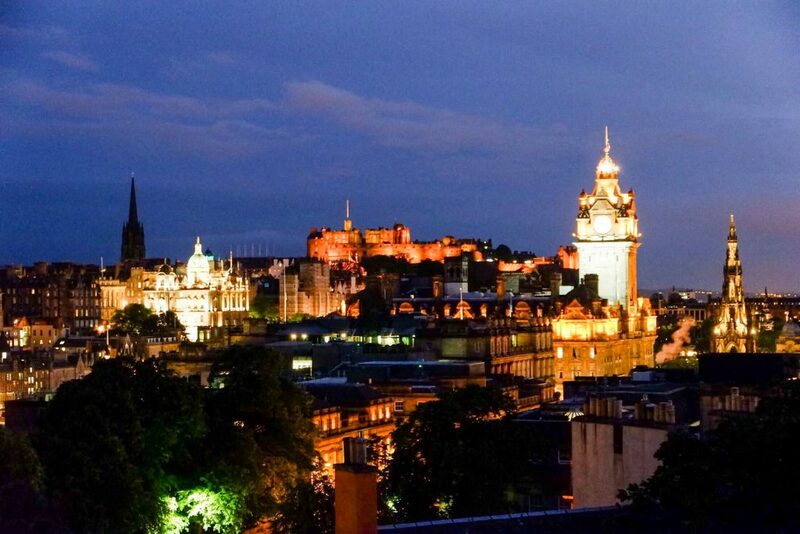 Would love to visit this Scottish city!So much to do in just 4 days! Would love to time travel in their castles! I love the ghost stories of Edinburgh. There are some really haunting tales coming out of all that crappy weather:). I would love to go on a pub crawl hear the stories from the locals. I bet they all have a tale to tell. 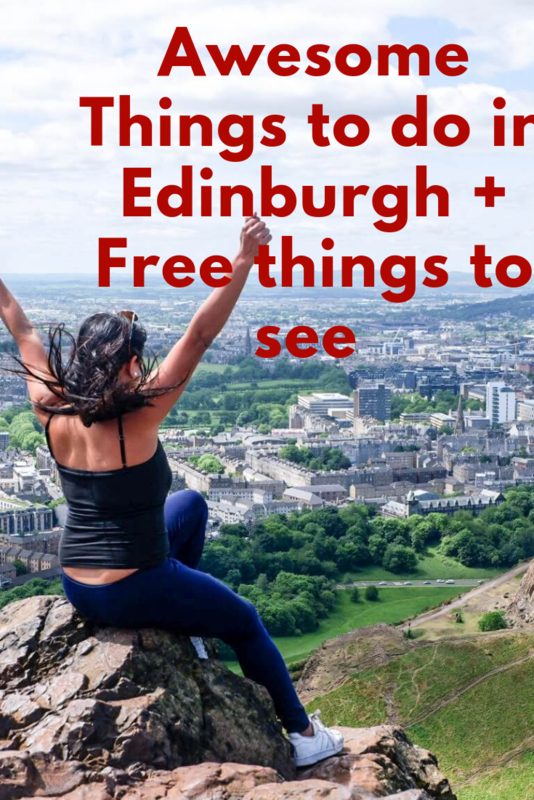 That is a well made itinerary for me 🙂 I would like to walk the Royal Mile and take advantage of possible free visits to the various museums there. 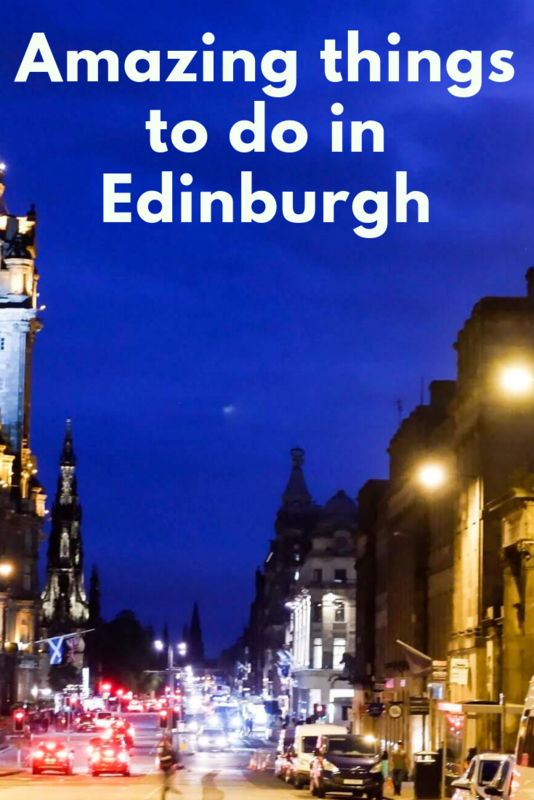 So glad I found this post, as we’re heading to Edinburgh in late August, and I so want to see and do all the things you’ve mentioned here…the Royal Mile, Princes St Gardens, the castle, Holyrood, and so much more! Can’t wait! Thanks for sharing all your tips! 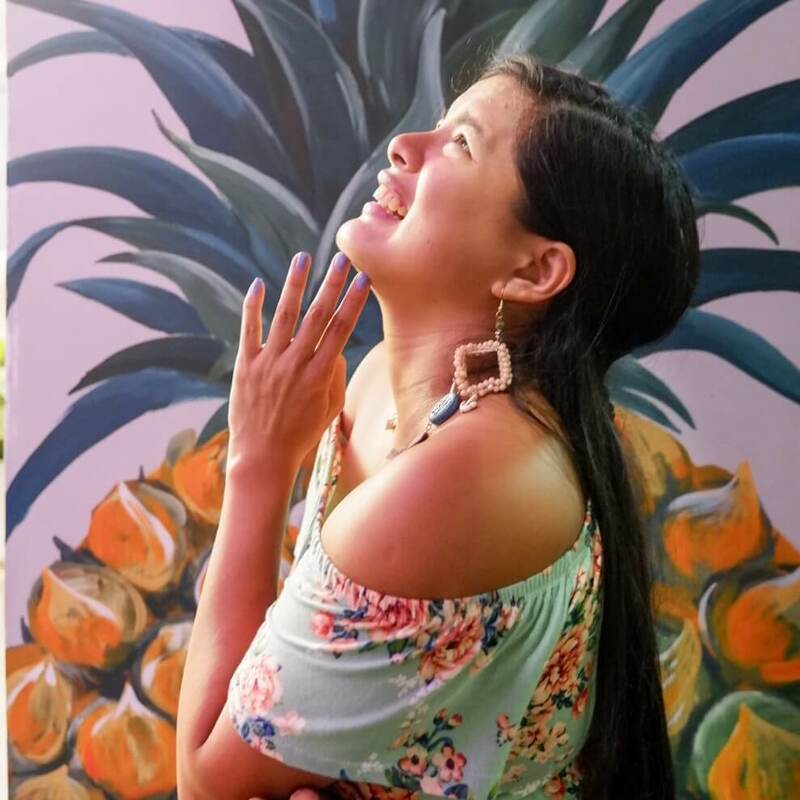 Very well written post, Karla. Unfortunately, I visited Edinburgh in the thick of winters. so l enjoy much. But I did try the deep fried mars bar.